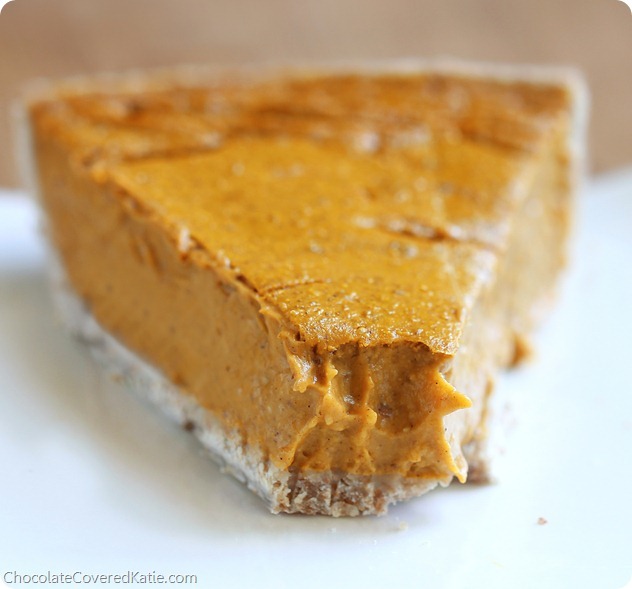 Healthy Pumpkin Pie - The Creamiest Pie You'll Ever Taste! And therefore it should be no surprise Thanksgiving is one of my favorite holidays. We celebrated exceptionally early this year (read: before Halloween), as I will be in a different state from my parents and sister on the actual day. 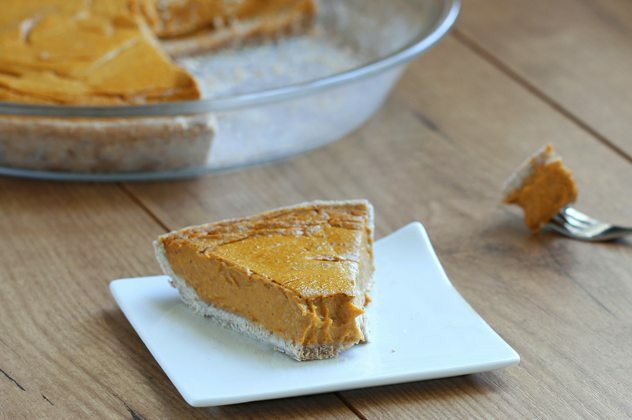 I created a new recipe for dessert, combining two of my all-time favorite foods–pumpkin and coconut–for what might be the creamiest healthy pumpkin pie recipe you’ll ever taste in your life. The healthy pumpkin pie is wonderful on its own; but if you really want to take the pie to epic heights of deliciousness, top it off with some homemade Healthy Marshmallow Fluff. All of the usual suspects were present for the actual meal: homemade cranberry sauce, mashed sweet potatoes, toasted pecans, and my favorite Bread Free Stuffing. And then the pie – If you make this pie and want to serve it with something besides the aforementioned marshmallow fluff, I can also vouch for it being completely amazing topped with my Coconut Ice Cream! I’m not saying there aren’t (many) times when we drive each other crazy. But at the end of the day my family knows everything about me and somehow still loves me. 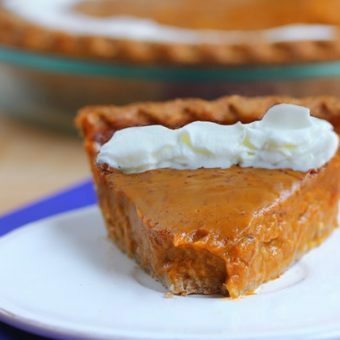 Healthy Pumpkin Pie Recipe: Preheat oven to 400F. Blend all ingredients together until smooth, then pour into a prepared pie crust (such as the recipe below) in a 10-inch round pan. Bake 27 minutes (it will still be underdone after this time, which is okay! 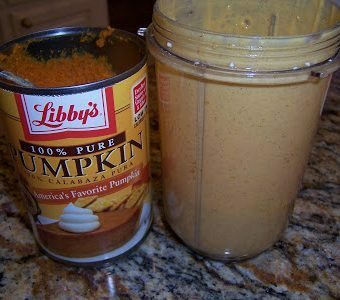 ), let it cool, then refrigerate at least 5 hours uncovered for the pie to thicken and “set.” Note: I’ve not tried this healthy pumpkin pie recipe with any milk other than full-fat canned coconut milk. Feel free to experiment with other milks, but I can’t vouch for the results. Preheat oven to 200F. In a large mixing bowl, combine all dry ingredients. Add oil and stir. Add water as needed until it just sticks together but is not gummy. Press evenly into a 10-inch pie pan. Put the crust in the oven and immediately increase the temperature to 350F. (The crust will rise, so either use pie weights during baking or just press the pie crust back down afterwards.) Bake 15 minutes. Let cool. 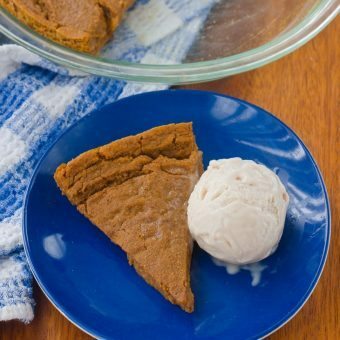 If you’d prefer a non-traditional pumpkin pie, my Crustless Pumpkin Pie recipe has been making its way around the internet… there are currently over 300 reader reviews on the post! This looks amazing! I loooove coconut (actually a recent discovery. I used to hate it!) and made homemade coconut butter yesterday! I seriously have like nine people “converted” to the chocolate-covered diet. Everybody loves your recipes! Thank you so much… this really made me smile. 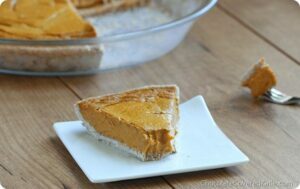 Your crustless pumpkin pie is one of my all-time favourite recipes to make – I absolutely love it – so I can’t wait to try this version! LMAO! You sound like my older sister when we were kids XD Of course we’re super-close now, too. How did I forgive her, again??? YUM! I just made a pumpkin pie with coconut milk and an oat/brown sugar crust but I never thought to blend the oats for a thicker texture! Genius! I really need to try working with coconut more for desserts- this looks out of this world! And yes I am super close with my family, and have been dreaming about the holidays coming up and how much fun it is to spend that time together. Enjoy your holidays too! Just in time for Thanksgiving! PERFECT!! I wish I weren’t the only pumpkin pie fan in my family, it’s keeping me from making one. 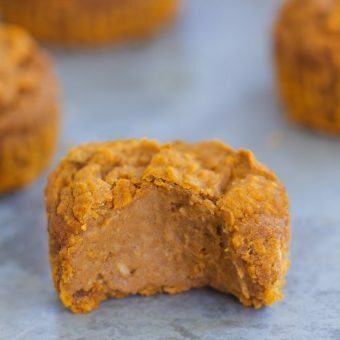 I’ve been making vegan pumpkin pies for years now, and have always used tofu as the thickening agent. This is genius with the oats and flax, along with coconut milk. 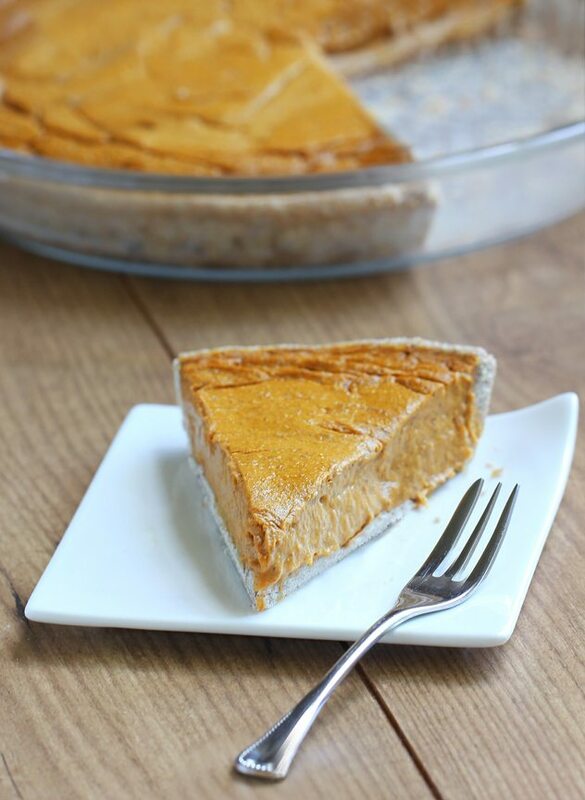 You can believe I will be making this pie for Thanksgiving and probably Christmas too! Were you guys military? My husband’s in the military so we’ll be moving around a lot for the next 20 years or so, but I’ve often felt okay with it, because though in some respects it will be hard for my kids, ultimately, I think it can help us rely on each other & be a stronger family unit because of it. It’s fun to see pictures of you with your family. 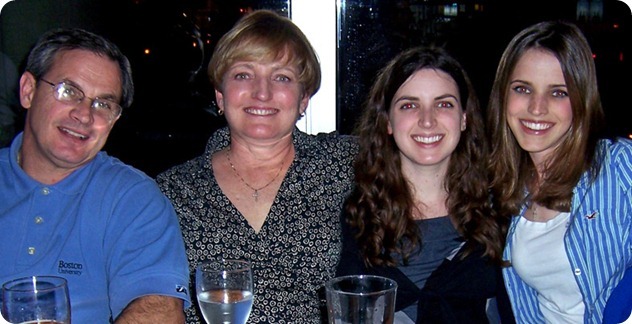 My dad was in international insurance… Yes, it is difficult but the experiences are SO priceless. And everyone I know who has been through it feels the same way, so don’t worry about your kids. Someday they will love you for it. Family is definitely the most important thing in my mind too. They are always there through thick and thin. This pumpkin pie is so my style! I hate the normal pies, so mixing in all these healthy ingredients into a pie sounds pretty amazing to me! I absolutley LOVE pumpkin pie! <3<3<3 Me and my sister are very close, unlike you though, I'm the youngest! 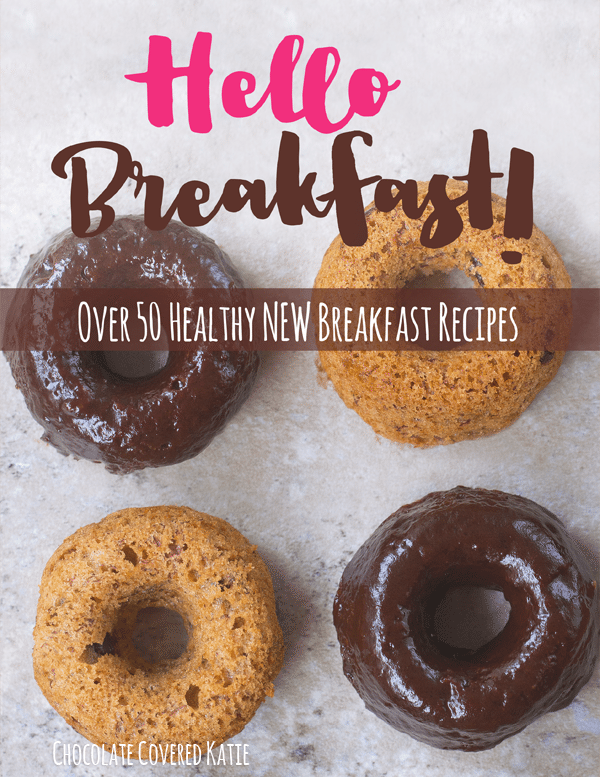 Thank you so much for your wonderful blog posts, I cannot wait for your cook book! This looks great! Anything with coconut cream has to be good. Anyway, I just wanted to say that I made the vanilla cereal smoothie thingy (of which there is a pumpkin version I also like!) with about 1/4 cup cocoa powder and it was quite good. Like chocolate pudding! Molly was a little black Scottish Terrier. She was the smartest, most amazing dog, but unfortunately she is no longer alive. Yes, Henry is brown and white… kind of like a Jack Russell but with black spots as well as brown. This sounds great! I have most of the ingredients already, so I think I may make this later in the week! Yum – coconut in pumpkin pie. Never heard of this combination but sounds outta this world!! Lol u remind me of my sisters and me when we were little; im the younger sister and we did stuff like that ; ) they used to make my little bro and me be the boring charachters in our skits, in house we also made our other sister be the dad (bro was too young), had fights abt who got to do a particular special activity/use a new purchase first, wear who’s jewelry when, lick the batter bowl, who took what w/out permission …etc. And yet we loved sharing a room, sharing our things, doing activities together, enjoying each other’s company, helping each other out, holding hands through the rollercoaster of life… Even when we got older and separated physically by life stages, we stuck by each other emotionally. Sometimes I really miss the days when we all lived together and were in such easy reach of sight. But I guess I must adjust to life’s changes. However it has taught me to appreciate my family so much more than ever.